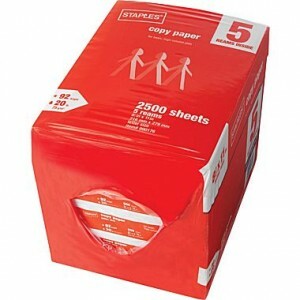 Click here to visit the Staples site and you’ll be able to print a coupon for a free five ream case of Staples copy paper after easy rebate. They basically let you purchase them in-store and then fill out an easy rebate online to get your money back. Offer is valid through 3/15 and you can also print a coupon for a free ream HammerMill copy plus paper.